Not everyone accesses the Internet using a laptop PC, many people use smartphones / tablets online. Including when accessing your Blog, so make sure your Blog Template and Design are Mobile Friendly so it's convenient to use. Choose a template that can be accessed via Desktop or Mobile devices. This will improve SEO, because you will get visitors from Desktop and Mobile. There are several blogs that can only be accessed on the desktop, when opened on Mobile it has a large size or a bug occurs such as a long loading, the image is not open, the font size is too large / small. The last is to use Descriptions in Articles like in Pictures or in Description feature, this is useful to make it easier for people to find your blog through keywords. Adjust to Title, Content, Content on Articles, some blogs that use Description or keywords will be easier to index on Search Engines. That's 4 Tips to improve SEO on your Blog according to Next Siooon (NS), hopefully it is useful and your Blog can be quickly indexed on Search Engines. Thus your blog will be busy getting visitors. Never underestimate SEO because this is one of the important things on Blogging. 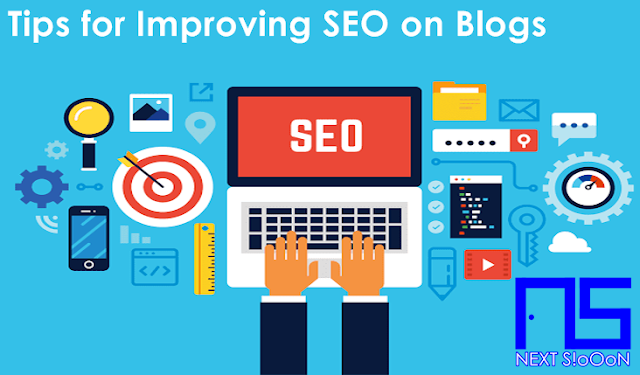 Keywords: SEO, Tips to Improve SEO, SEO Optimization Ways, How to Increase SEO on Blogs, Tips for building SEO Blogs, Tips for SEO Friendly Blogs.